We call these our Slammin' Salmon Snackers! These cookies are rich in Omega 3's and smell fresh out of the ocean! 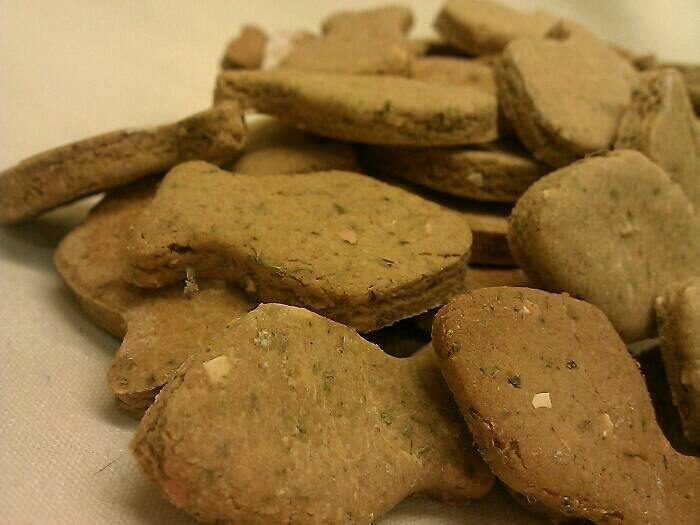 * Each cookie measures approximately1 3/4 " long, perfect treats for a medium to large pup. We are happy to bake them in small or large too. Please message us if you would like a different size. Organic Oat Flour, Wild Caught Alaskan Pink Salmon (Low Mercury and Certified Sustainable Seafood), Cage Free Whole Eggs, Organic Parsley.